Kyle Rooney is father to 19-month-old Madden, who was diagnosed with Angelman syndrome at six months old. Until that diagnosis, Kyle and his wife were just like any other family—excited young parents, eager to watch their twin sons grow and prosper. But when Madden received the diagnosis, they became ‘Angelman parents’: scared and overwhelmed at first, learning to adjust to their new reality. If trekking up one of the tallest mountains in the world motivates someone to ask me, “Why are you doing this and what is Angelman syndrome?” then I’ve accomplished by goal. Trekking to the summit of Mt. Kilimanjaro is for Angelman syndrome and the accomplishments my son Madden reaches every day. Every single one of us has daily Summits we reach. No matter how big or small, these accomplishments can be inspiring, moving, and even funny.Please share your personal Summit story of accomplishment on Facebook and Twitter and include the hashtag, #Summit4Angelman. It is our hope that we will all find strength, motivation and escape from these stories of hard work, persistence and accomplishment. What is your Summit? 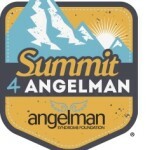 Visit Kyle’s personal blog at www.summit4angelman.com to find out more about Kyle’s journey. Kyle’s goal is to raise awareness, and he wants to reach 19,341 people. 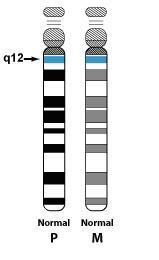 That’s one new person introduced to Angelman syndrome for every foot that Mt. Kilimanjaro is tall. (Mt. Kilimanjaro is 19,341 feet tall.) 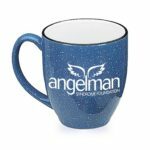 With your help in introducing Summit 4 Angelman to as many new people as possible, we can reach that goal! You can also encourage these newly introduced individuals to make a donation in support of AS research and family support services. Funds raised will be donated to the ASF in support of the AS community and finding a cure. 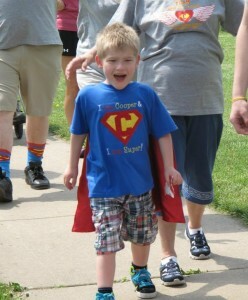 THANK YOU for your support of Kyle and his goal to broaden awareness of AS across the world!